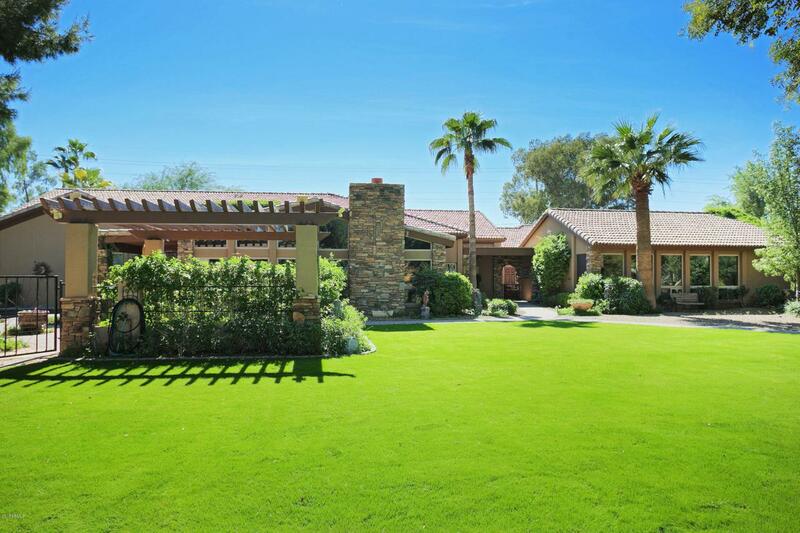 Located on the Orange Tree Golf Course, this custom fully renovated residence is an entertainers dream! Gourmet kitchen in the main residence, outdoor Pergola with gas barbeque island, pebble sheen pool with boulder water feature and outdoor shower! The master retreat is anchored by a fireplace and sliding door to pool area. Large master spa bath with jetted tub, separate shower, dual vanities and large walk-in closet space. Guest casita features 2 bedrooms, living room and full kitchen - perfect for rental income potential. Upgrades include raised ceilings, upgraded electric, Milgard dual pane windows throughout, new septic system in 2015. Breathtaking Golf Course views from your lush green backyard! Cross Street 56th St/Shea Blvd.